Behold, the most epic highlighters have arrived. The Cover FX Custom Enhancer Drops are liquid highlighters that you can mix with another liquid product like foundation or use on its own. These look insanely strong in any YouTube Video when they were used. I’m a huge highlighter fan so I of course had to try them out myself. They were sold out of some time but I could finally get them myself after a restock. I purchased the shades Sunlight and Moonlight. 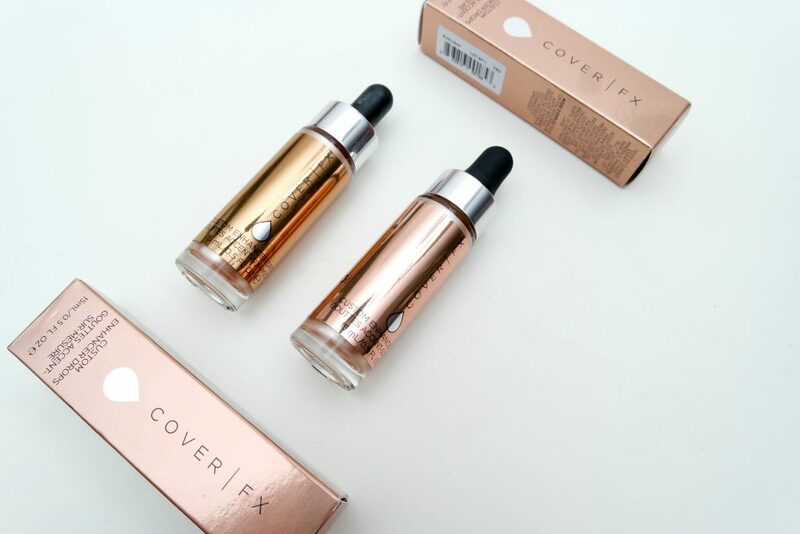 The Cover FX Custom Enhancer Drops come in a champagne-y bronze box with a metallic finish. The brands logo is in front with the description of the product. 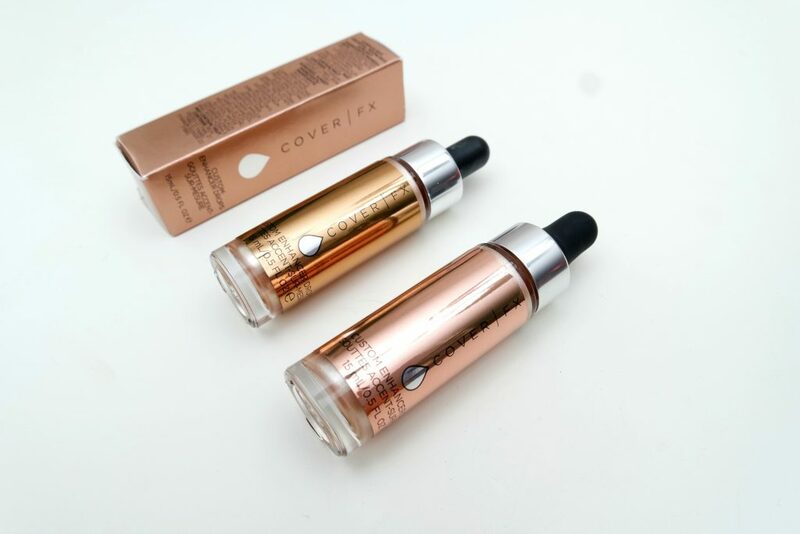 The bottles are made of glass and contains 15 mL of product, which is a lot (half the size of an average foundation bottle) because you only need a tiny bit for each application. You can see the product through the bottle, the sticker placed over the bottle has a similar shade as the highlighter. Screwing off the top reveals a glass dropper, which you can use to place the highlighter on a surface like your hands. 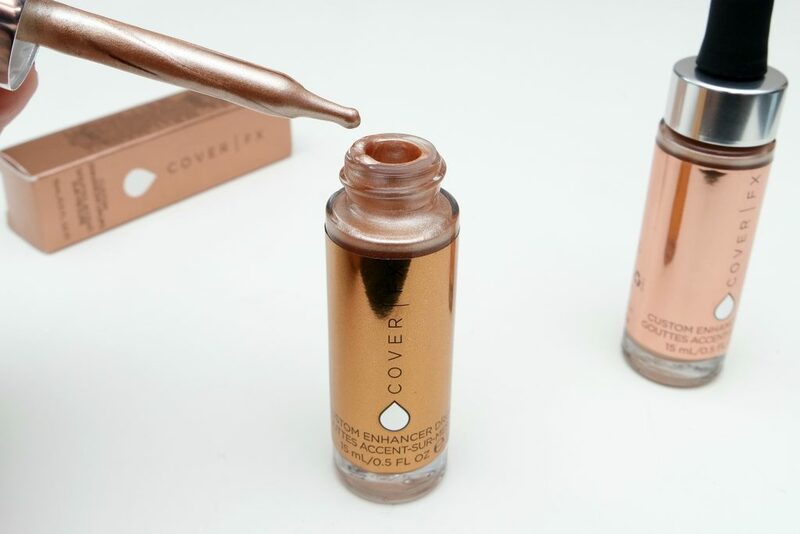 The formula of the Cover FX Custom Enhancer Drops is thick, so the whole dropper itself is completely covered with the highlighter. With this dropper, it’s easy to pick up a small amount or customize the amount to your liking. I carefully applied one small drop of Cover FX Custom Enhancer Drops on my hand. The shades, Sunlight (left) and Moonlight (right) are very similar. 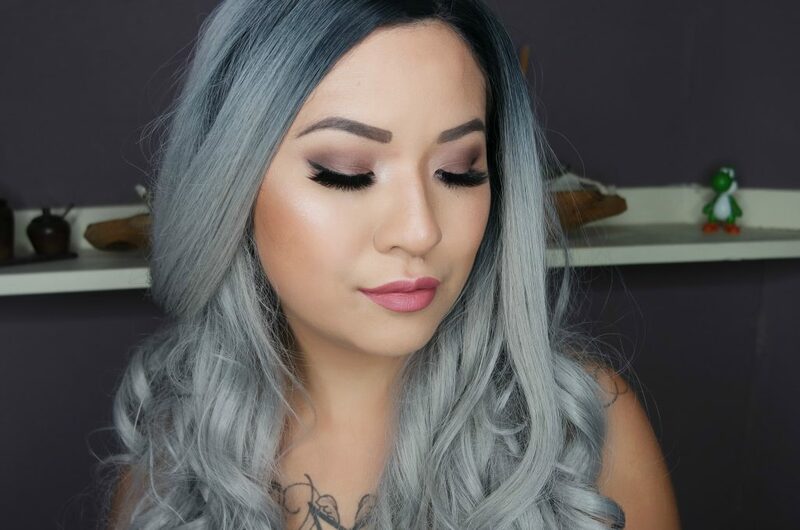 The highlighters have no scent, the same thick formula and the same high metallic finish. It looks so insanely pigmented and shiny. I can seriously stare at my hands all day with these highlighters. I’m personally a fan of metallic highlighters, having a high shine looking almost like you’re a robot instead of a shimmery/glittery highlighter. With a shimmery finish, I can easily turn into a discoball as soon as direct light hits my face. Here I’ve blended the Cover FX Custom Enhancer Drops a bit more. 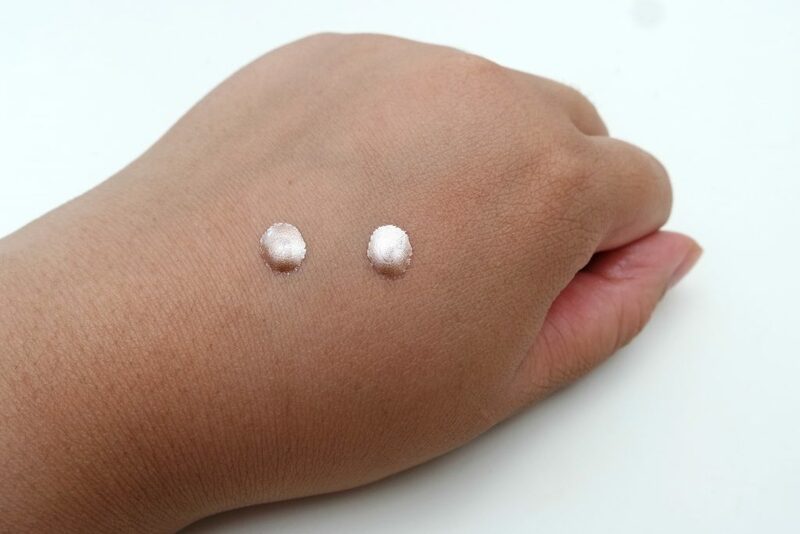 As you can see, two tiny drops can cover my entire hand, so one drop is enough for the entire face. The finish of Cover FX Custom Enhancer Drops in Sunlight and Moonlight is everything I dreamed of in a highlighter. These are also perfect for mixing with foundation to give you an extra radiant glow. Here’s a picture of me before applying Cover FX Custom Enhancer Drops. 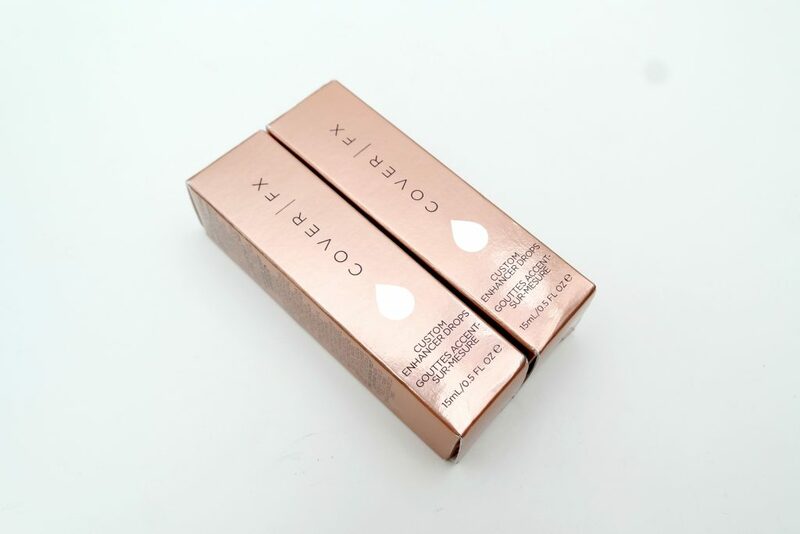 For this review, I will only be showing you these as a highlighter (and not mixed with anything else) on the tops op my cheeks, cupids bow and nose. 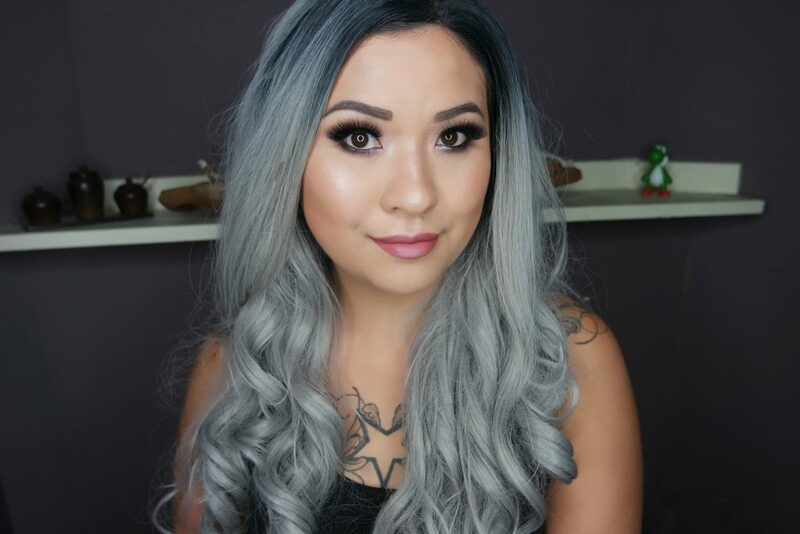 Normally, it’s very difficult for my camera to pickup the highlighter effect but with these, it was very easy and didn’t even need to over-apply the product like I usually do. I’ve applied the highlighters using my fingers, but I would suggest to use a beautyblender. 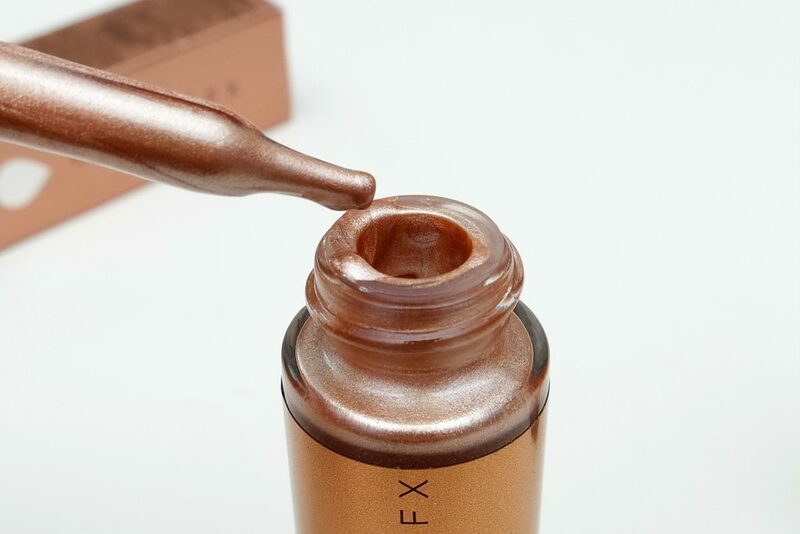 The Cover FX Custom Enhancer Drops in Sunlight is a liquid highlighter that gives a soft, golden glow. This shade is perfect for my skintone. It isn’t too warm and looks more champagne than gold on my skin. I really love how naturally radiant this looks while still being strong. 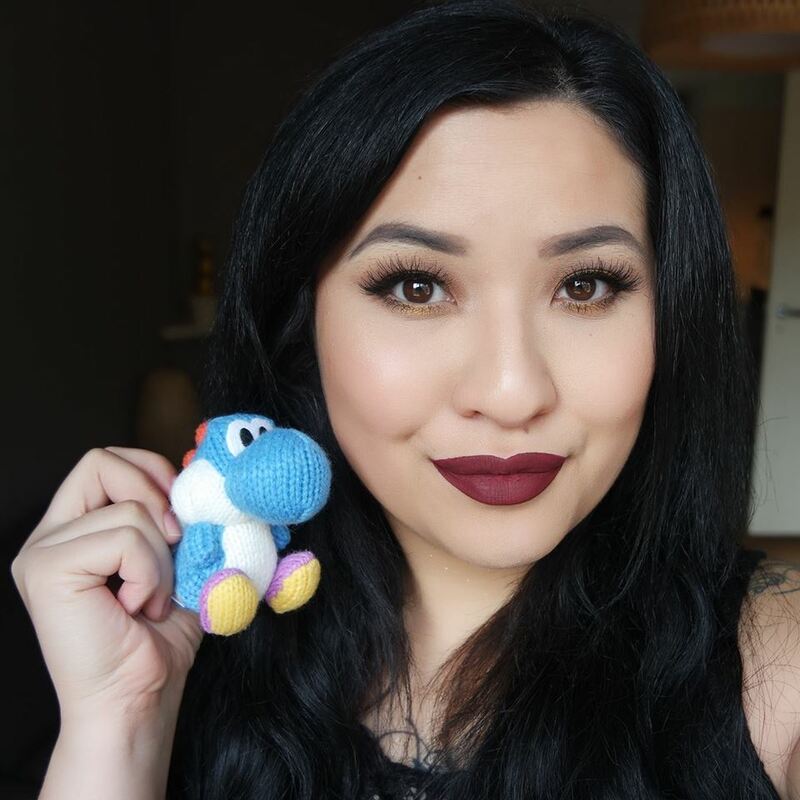 The highlighter can be easily build up and doesn’t move my other make-up, which I was afraid of since it’s a liquid. 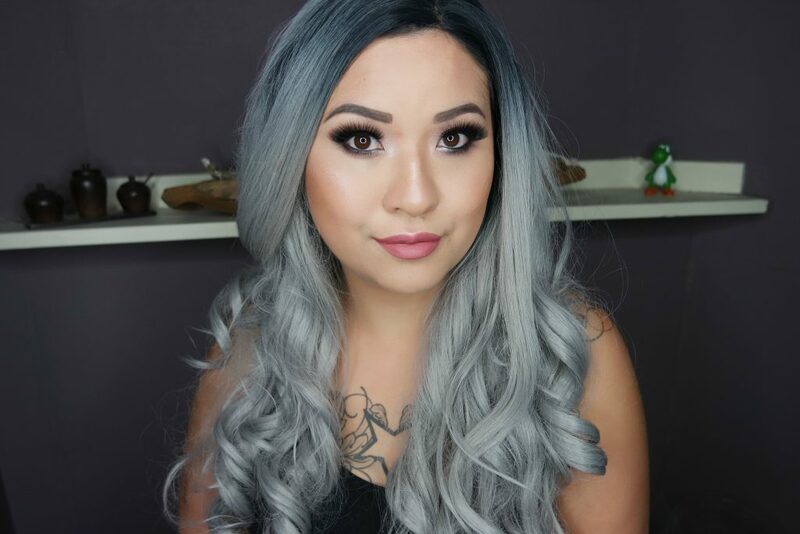 The Cover FX Custom Enhancer Drops in Moonlight is a liquid highlighter that gives a soft, silver/beige glow. 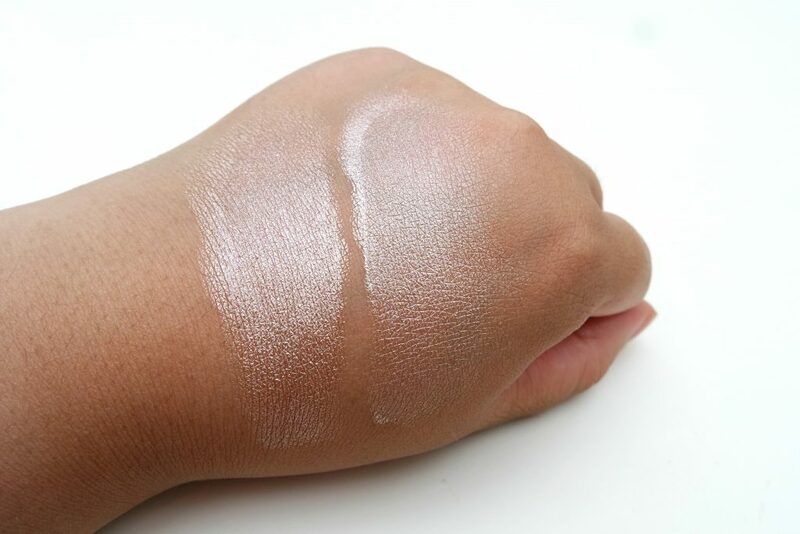 This shade is very similar to Sunlight but is a bit more cooler, also a bit ashy when I apply this more intensely on my skintone so I have to use this with a light hand. This shade would probably suit me more in the winter period or for a slightly lighter skintone than I have. I would suggest to get one of these, not both since these are extremely similar. Sunlight has a slightly warmer base than Moonlight so it depends on what your undertone is and what you personally prefer in a highlighter. 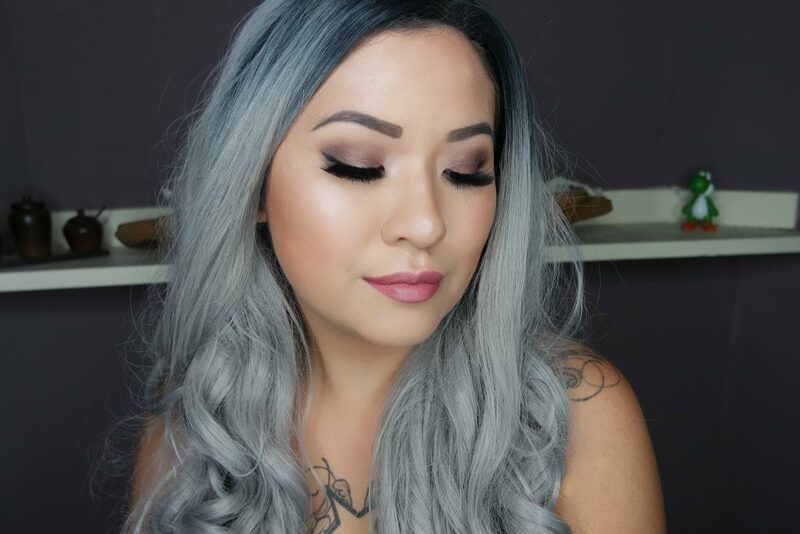 There are also four other shades that are more suitable for fair and darker skin tones. 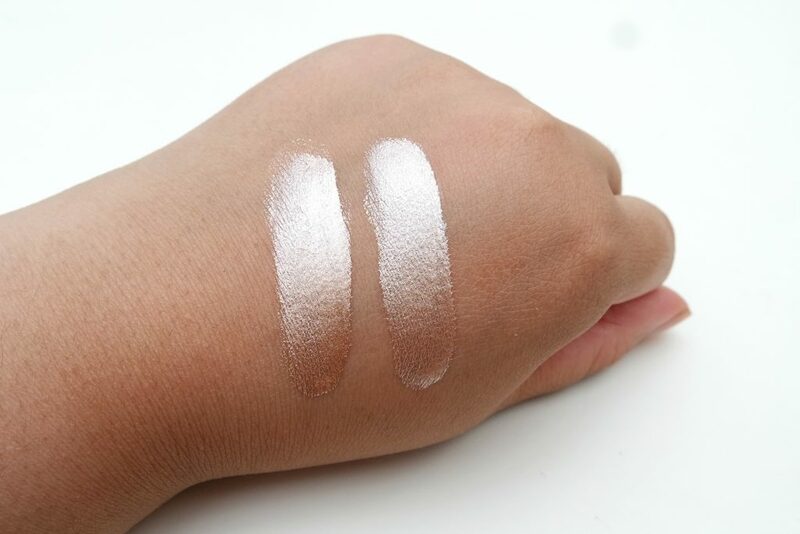 I personally prefer Sunlight over Moonlight, but they are both very stunning and my favorite liquid highlighters so far. 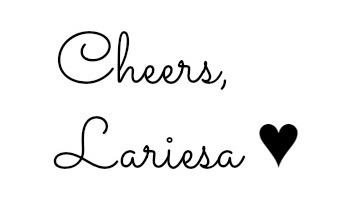 I will probably use these in my regular make-up routine until the end of time. 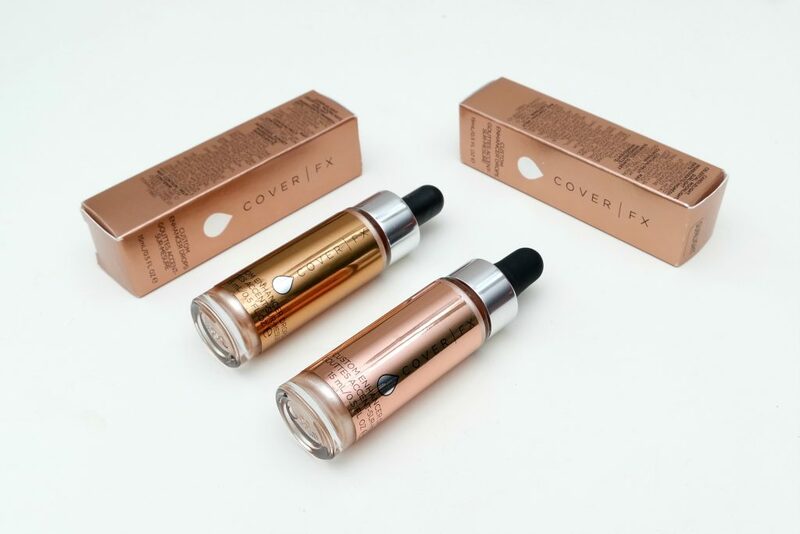 The Cover FX Custom Enhancer Drops are available at Beautybay.com. Do you own any liquid highlighters? Which one is your favorite? Hier zat ik op te wachten! Die swatches! Oh my, echt ziekelijk mooi 😀 ben ook benieuwd hoe ze staan gemengd met foundation. 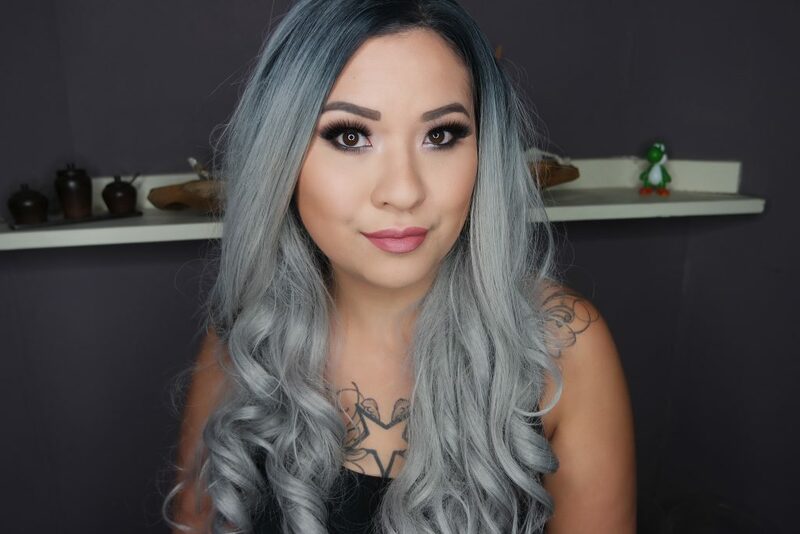 femketje recently posted…Look – Midnight Fireworks.